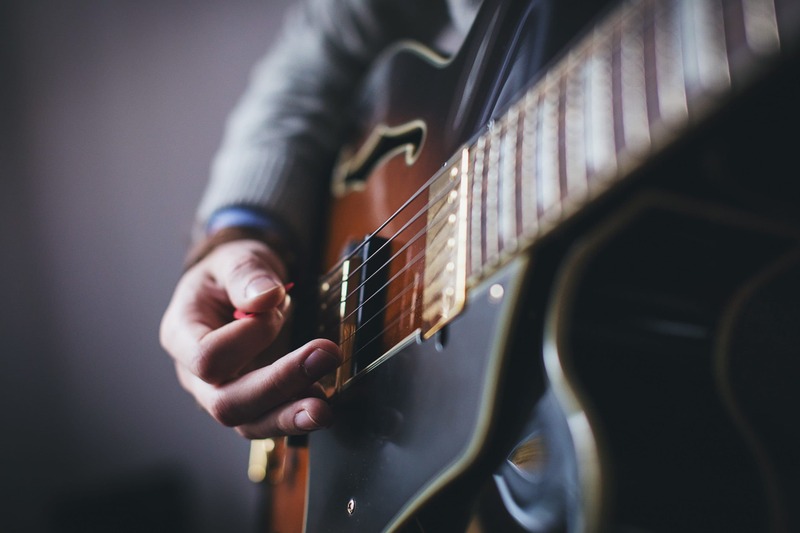 This post appeared first at How to Hold Your Guitar Pick on TheGuitarLesson.com, thanks for reading. Learning how to hold the guitar picks correctly is one of the first things you should learn when you decide to learn the guitar. If you learn it well in the beginning, you’ll never need to worry about it again, and it’ll make your learning experience much easier. Many beginners instinctively hold the pick between the tips of their thumb and index finger, which is incorrect, and will result in lessened stability. So, lets get to it. Curl your hand as in the picture, almost as if you were showing a loose thumbs up. Your index finger is curled, and is parallel with your thumb. Place the pick onto your index finger, and put your thumb over it. As you can see on the picture, you’re holding the pick between your thumb and index finger. The tip of your index finger and thumb are parallel, while the pick is perpendicular to them. The way you hold your guitar picks and how much of the pick will be left visible will largely depend on the style of music you are playing. If you plucking individual strings very fast, leave only a little part of the pick out. If you are strumming, you can leave more of the pick visible. Holding the pick correctly, as described above, takes some getting used to, so don’t worry if it feels a bit weird at first. Practice, get used to it, and it’ll feel natural soon. There is a slight difference in the way you hold your guitar picks when you’re strumming, than when you’re picking at single strings. As a beginner, you’re not used to holding the plectrum yet, so you’ll encounter a few typical problems. It’s OK, we all went through this. 1. Pick isn’t stable in your hand, it flies away or turns around between your fingers. There is a delicate balance between holding the pick too loosely, and holding it too tight. If you hold it too tight, it won’t be comfortable. If too loose, the pick will move around. You’ll need to practice a lot, and with time, you’ll develop just the right amount of pressure. When you’re strumming, you’ll want to glide over the strings with your pick with a loose wrist, and let the angle of the pick move with each up-down strum. With the downward strum, you pick is facing down, and with the up strum, you pick is facing upwards. The exact angle of the pick versus the face of the guitar is around 15-20°. Again, the amount of pressure you hold the pick with is also a factor. If you hold it too tightly, it won’t be able to glide, and you’ll get caught in the strings. There are many shapes and styles of picks. Generally, larger picks are better for strumming, and smaller picks are better for playing lead. Also, the thickness and material of the pick affect things, so it’s best to buy a pick variety pack, and try out all the different kinds of picks there are. 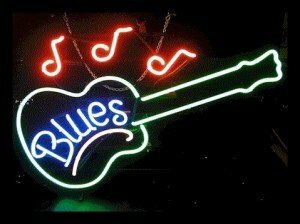 TheBluesGuitarist is your source for beginner guitar lessons.